The Panasonic range of single and dual axis Positioners provide the components to expand the capabilities of your robot welding system. 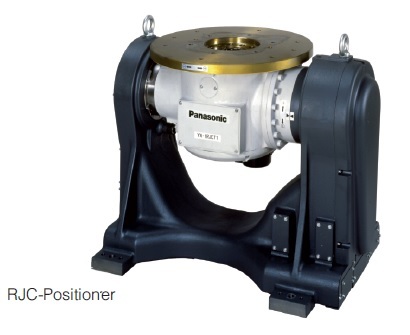 The Panasonic standard positioners range from 250kg to 1000kg payload, with positioners with payloads to 10,000kg available. 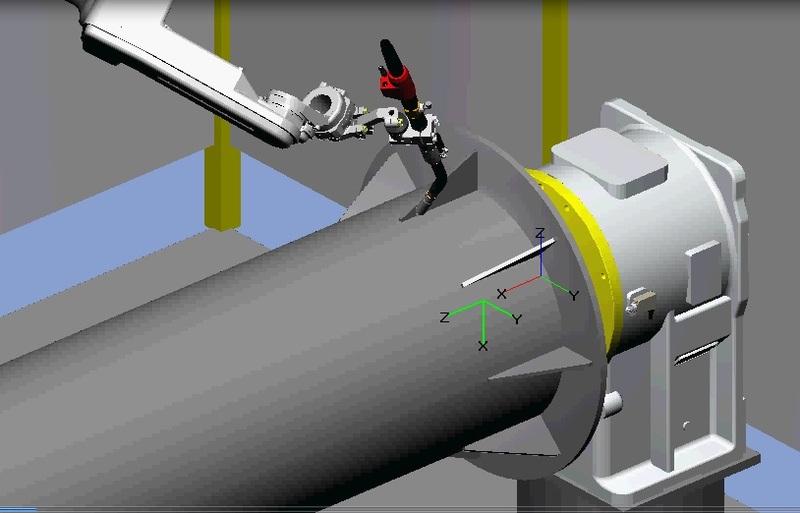 Panasonic robot welding systems can be integrated with 1 or many external axis positioners, servo motor units or linear track systems. 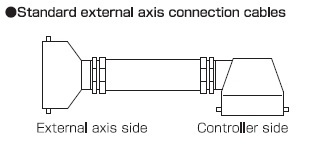 For Dual Axis requirements the paired positioners are supplied with all internal cabling and connector plates. The Panasonic External Axis Controller is integrated to the Panasonic Robot G3 Controller and connects to the external axis positioners and servo motors with standard cabling sets reaching to 30 metres. Multiple Positioners and Servo Motors are controlled by each External Axis Controller. To ensure safety when integrating multi station cells the Panasonic Independent Type External Axis Controller is able to safely isolate each positioner or servo motor unit as required. 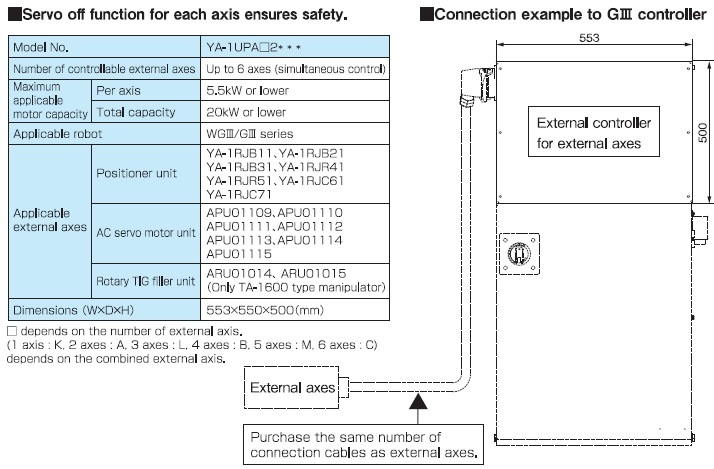 To interface the Panasonic External Axis Positioners and Servo Motor Units to the External Axis Controller standard cable sets with plugs at each end make the connection simple. 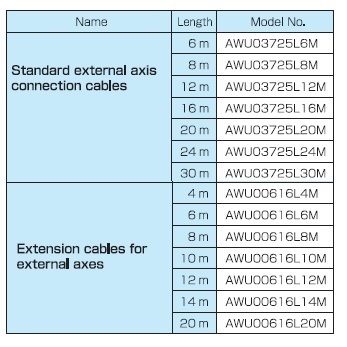 Cable are available as standard cables or flexible cables. Flexible cable sets are able to be integrated into standard energy chains as used in linear tracks on larger systems. The Panasonic Servo Motor Units are integrated with an encoder and brake for safe positional control of mechanical systems. The Servo Motor units are able to be integrated with Panasonic External Axis Controllers. With a standard rage from 100W to 5500W rated output the Panasonic’s Servo Motor Units simplify the integration of the control of special purpose positioners, linear track systems, gripper control & conveyor control.